So…the holidays are coming up and you’re at a loss for what to make for your guests. Again. Do you buy a frozen bird and hope your math skills are strong enough to calculate the intersection of weight, thawing times, cooking temperatures and brining liquid measurements? Or do you buy a bunch of stuff from Whole Foods and pretend that you made it all yourself, until your cousin asks if there’s gluten in anything? Hey – I’m here to help. 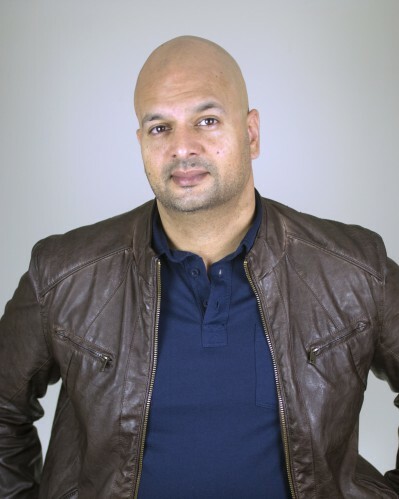 And if there’s one thing that everyone wants at Christmas, its holiday recipes from a Muslim guy. WAIT – before you leave…I was a chef for 10 years! Sticking around? Good. You won’t regret it. I’m going to share three recipes with you that will light up your holidays and your taste buds. That’s the one and only cliché I use in this whole blog. Promise. WHY? If you have to ask, you should probably move on to the next recipe. WHEN? Whenever you plan to serve that Christmas turkey. Right beside it, or instead of it. That’s right turkey, I said it! You dry son of a gun…. you ain’t all that. HOW? That’s the right attitude. Read on. “Special” Equipment: For this recipe, you’re going to need a large mixing bowl (or large resealable bag), a small blender, a spice grinder (AKA your old coffee grinder that you don’t want to use for coffee anymore), and the gift of patience for a minimum of 24 hours. For a video on how to make this versatile “G.O.G.” that you can store in your fridge, click here. Trim the lamb of any large chunks of fat and gristle. Pierce the meat in about a dozen or more spots with a sharp knife. 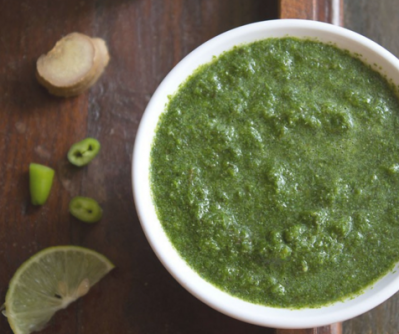 In a blender, puree the garlic, ginger and onion and half the cilantro and mint with the lemon juice. Set aside. Grind the first 5 spices (cumin, coriander, cloves, cinnamon and cardamom) to a fine powder in a spice grinder. Add to a bowl with all the remaining ingredients, including the garlic & ginger puree. Stir well and taste – it should taste stronger and more intense than the eventual flavour of the roast, because a) its going to season an entire leg of lamb and b) it’s not cooked yet. A weak taste at this point will ensure an even weaker taste when the roast is done. Rub the marinade all over the meat, making sure to push some of the mixture into those slits you made. Put the lamb into a large bowl (or sealable bag), cover and refrigerate for at least 24 hours. Remove from the fridge 90 minutes before cooking. Preheat the oven to 275˚F. 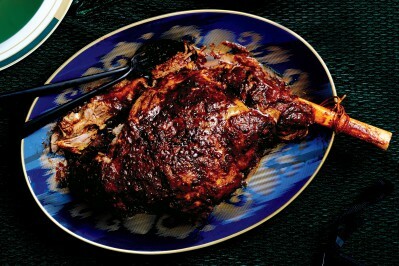 Cook the lamb for 3 hours in a roasting pan or casserole dish, covered with foil. There’s no talk of “medium” or “medium-rare” with an Indian lamb dish. It’s just cooked until its succulent and tender. At 3 hours, take the lamb out, test for salt and test the meat for that aforementioned succulence. If it isn’t there yet, return to the oven and continue cooking for an additional 20-40 minutes. When the lamb is done, let it sit for at least 15 minutes before serving. Garnish with the remaining cilantro and mint, the julienned ginger and fresh lemon juice. Sit back, enjoy the compliments, let them know where you got the recipe from, and eject anyone who doesn’t like the dish from your home. Chef’s Note: You want to mess with the ingredients, by making it less spicy, or more coriander-y…? Go right ahead – that’s your prerogative. But don’t mess with the marinating time. This is what makes meat dishes from India, Pakistan, Afghanistan and neighboring regions so tasty. They know how to marinate meat. WHY? They are a snack so delicious that they could actually cure racism. WHEN? At any soiree, event, party or get-together. If there are people there, there can/should be samosas there. Sometimes no one is there and I just fry 17 mini-samosas and eat them all because all of my exercise hasn’t been working in the least so who cares about small portions and eating my greens anyway. But enough about me. Special “equipment”: A pair of latex gloves might not be the worst idea (unless you absolutely love yellow fingertips), clean kitchen towels, a wok or deep pot that you can deep-fry in, and a good attitude about deep-frying. Just make sure to fry them at a high enough heat so the oil doesn’t get soaked up like a sponge. And spend a minute draining the excess oil onto a absorbent paper. If this is still against everything you stand for, you could bake them using phyllo pastry sheets. I personally use pre-made spring roll pastry sheets (brand: Spring Home) that result in a small, crispy, appetizer-friendly “samosita”. Chef’s note: when I made up this term for a baby samosa in 2008, it was the only thing in the world that you could put into google and not find at least one search result for. I don’t know who’s doing what with the word now, but I was number one. Let’s never forget that. Heat the oil in a large skillet at medium heat. Sauté the cumin and mustard seeds until aromatic, about 1 minute, being careful not to burn them. Add the onion and sauté for 1 minute. Add the turmeric and chili powder and fry for another minute. Add garlic, ginger and frozen green peas. Sauté for 2 minutes. Add potatoes (OR ground beef) and salt and fry – at least 2 minutes for the vegetarian version, 10 or more for the beef. Stir in the cilantro, kasoori methi, lime juice and the garam masala. Stir well, and let cool. Test for salt. Chill finished samosas and continue until you’ve used all the filling and/or dough. In a wok or large saucepan, heat several inches of oil to 350ºF (or until a cube of bread browns in 40 seconds). 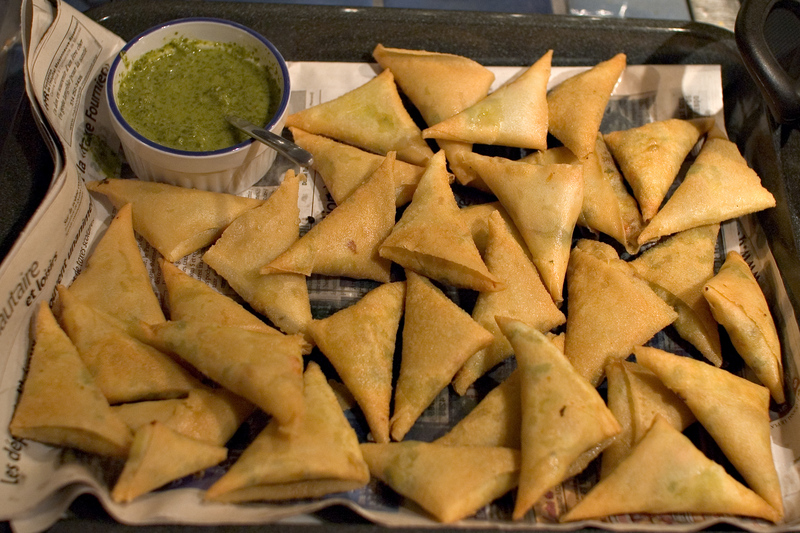 Fry samosas – be sure NOT TO CROWD THE WOK (this drops the temperature of the oil and the samositas don’t fry, they absorb – until golden and crisp, about 3 minutes, turning them over halfway through frying. Remove with tongs, drain on paper towels, and continue until all samosas are fried. You can keep the samosas warm in the oven (at 180˚F) while you cook all the batches. Serve samosas hot or at room temperature with a tamarind chutney, sweet chili sauce, ketchup…or Mint & Coriander Chutney! WHY? Because you have some respect for yourself and would like to eat a delicious condiment, what do you mean WHY? WHEN? Any time you serve grilled meats, grilled or pan-fried fish, or samosas. HOW? Get your blender out and let’s talk. Optional ingredients: fresh ginger, cumin seeds and coconut milk in place of yogurt. I hope you get a chance to make all three of these dishes soon. If not during the holiday season, then maybe as a New Year’s resolution to make and eat more delicious food. Merry Christmas and Happy Holidays! Photos courtesy of Ali Hassan, Epicurious and Veg Recipes of India.